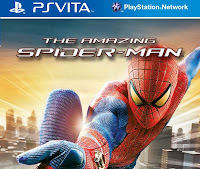 With New York Comic Con just around the corner, I’m swinging by to let you know more about the upcoming PS Vita release of The Amazing Spider-Man from Activision, a hand-held version of the original PS3 title. For those of you new to the series, The Amazing Spider-Man takes place after the events of the movie and features a new, original story. 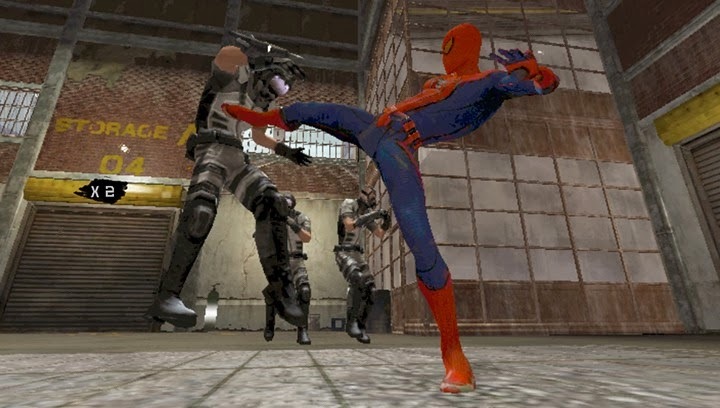 It mixes all-out, freeform brawls and stealth-based, stalk-and-strike challenges with a fast-paced momentum that puts Spidey front and center in the action. If you caught the game when it first launched on PS3, you already know The Amazing Spider-Man gives you free roam and free reign over the isle of Manhattan, a bustling and beautiful open world teeming with sights to see, citizens to aid and colossal bosses to rip down. The PS Vita release of The Amazing Spider-Man is a virtual playground in your pocket, maintaining that same spirit of the console edition while adding new energy through Vita’s special features. Tying it all together is the Web Rush system, slowing down time in a heartbeat and opening up a variety of superpowered combat and movement actions on-the-fly. 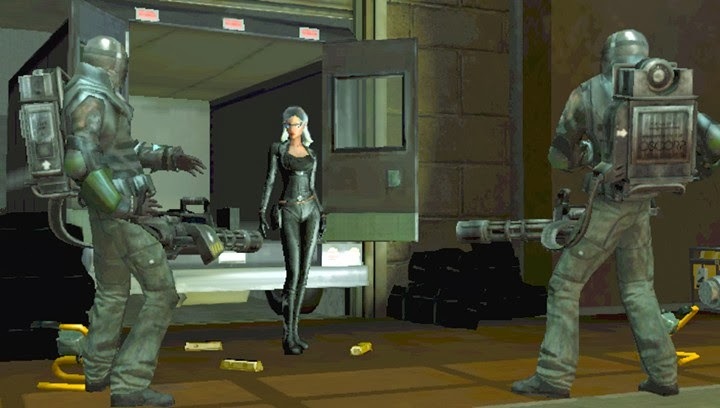 That unparalleled sensation of soaring above New York, stringing up an unsuspecting thug with a Web Strike or somersaulting clear of an incoming attack feels even more natural now thanks to the responsive, touchscreen controls Vita brings to Web Rush, allowing for quick and precise decisions with the tap of a finger. 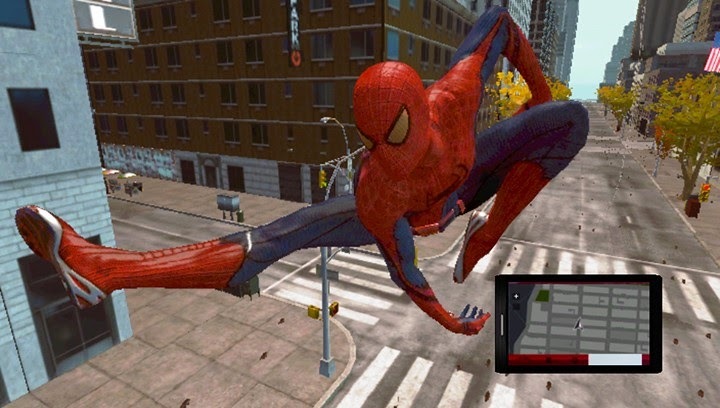 Peter Parker’s smartphone plays an integral part in how you interact with the city around you, and PS Vita’s unique form reinforces these elements. The pinch-and-zoom support afforded by Vita’s multi-touch capabilities makes navigation a breeze, allowing you to effortlessly drag around the mini-map, set waypoints and track your bearings, just like you would with a real smartphone’s map app. And Vita’s gyroscopic functionality lets you snap front-page photos by aiming the device like an actual camera, zooming in and out with a simple touch. 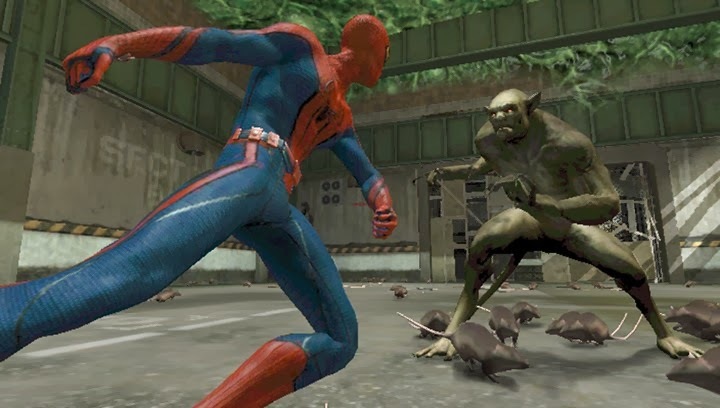 We’re thrilled to be able to deliver a modern Spidey experience to PS Vita owners. The Amazing Spider-Man comes out November 19th in North America for $39.99, and makes a great package for Spider-Fans on the move. Let us know what you think of The Amazing Spider-Man on PS Vita in the comments below!